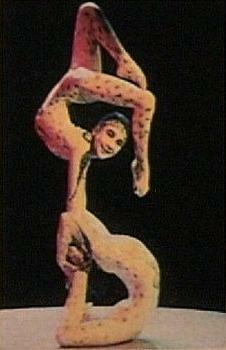 More about cirque du soleil contortionists on this site. Search EuroTV for a list of TV shows probably featuring some contortion (circus, acrobatics, yoga, contortion, artists, gymnastics...). You still have to read the description yourself and see if the show might be interesting. This search engine works only for european TV shows. You can do your own search at http://www.eurotv.com/. With new improved chat software!! !